Andrea Bowers is a Los Angeles-based artist working in video, drawing, and installation that combines art and activism in order to draw attention to the struggle for social justice. For the High Line, Bowers presents a continuation of her ongoing work supporting the DREAMers, individuals who came to the United States at an early age without documentation, who have assimilated to U.S. culture, and who have been educated in the U.S. School system. 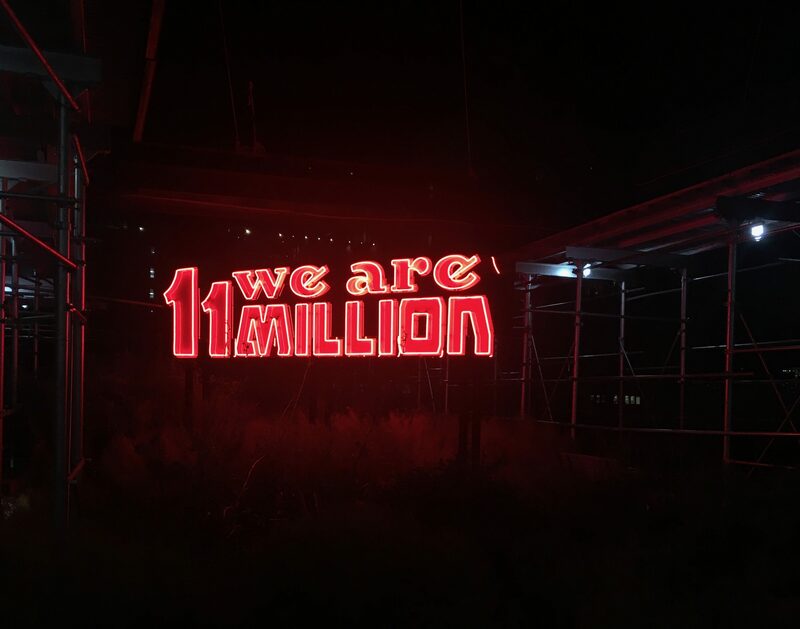 Here’s what the sign looks like at night. The message is written in Spanish on one side and in English on the other. 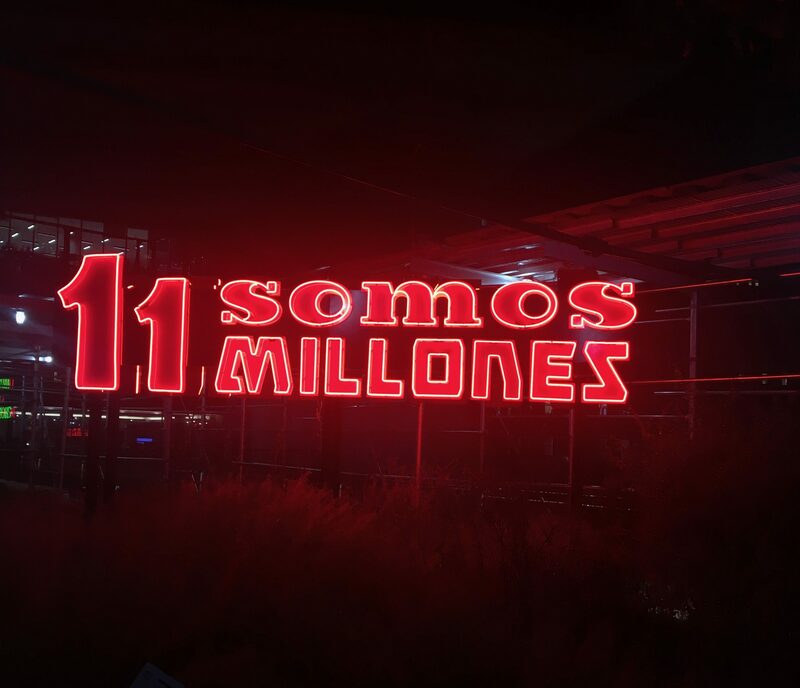 Bowers invited the immigration activist group Movimiento Cosecha to write a slogan in support of DREAMers, realized as a neon sign reading “Somos 11 Millones / We Are 11 Million,” which is the number of undocumented immigrants in the United States. 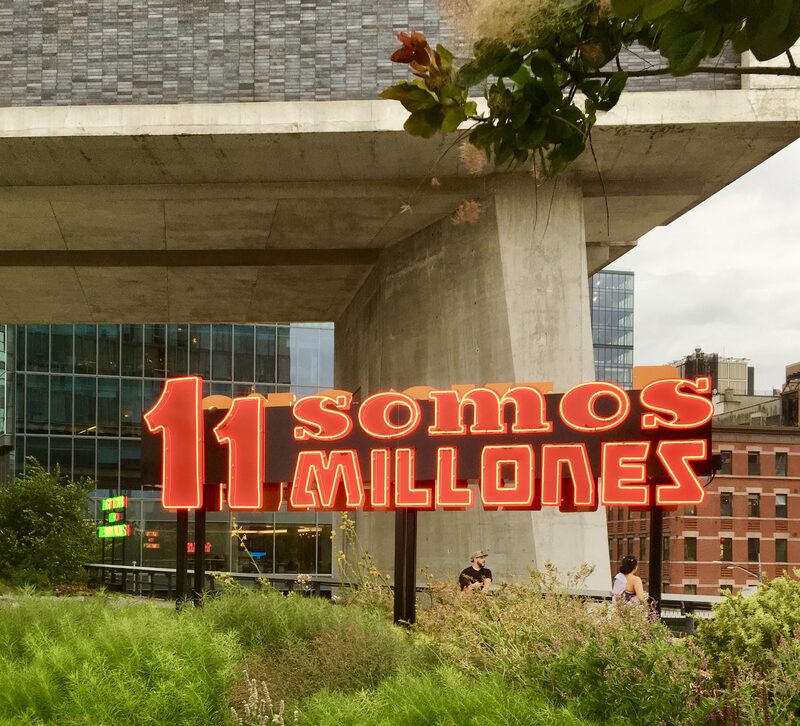 Part of the Agora Project, Installed on The High Line (Under the Standard Hotel) Through March of 2019.